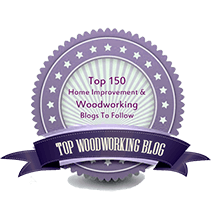 Heartwood » Blog Archive » Why woodworking? Here is a two-part answer. Some reasons are clear to any woodworker, starting with the pleasure of working with a wonderfully beautiful and diverse material – wood. Craftsmen have a strong urge to simply make things, and, for some, there is the creative joy of producing original designs. There is also the primal appeal of skillfully working with one’s hands. Each woodworker has his own reasons. However, I think for many of us, amateur and professional, there are satisfactions derived from woodworking which are especially meaningful because they are notably lacking in much of the modern world of work. Here I submit three such satisfactions. Can you relate? 1) Woodworking produces a product that you and others can see. Moreover, you can use and share it for a long, long time in the comfort of home. 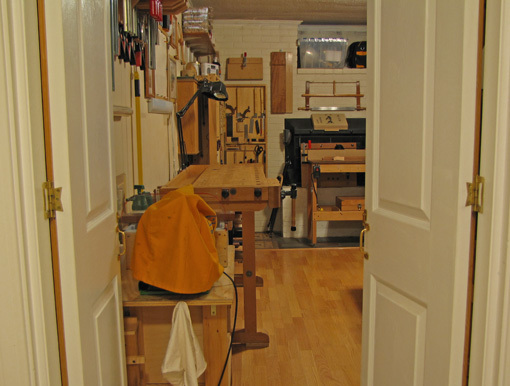 2) A woodworker is responsible for, and controls, the process and the outcome. The limitations come from your skills and resources, not from “corporate.” Control and responsibility seem to be frustratingly unlinked in many occupations. 3) There’s no BS in woodworking: If you do good work, the result is a good product. If you do poor work, you and others will see it plainly. What you put in is what you get out; there are no “moral hazards.” Politicians probably should stay out of the shop, or at least leave it at the door. Step into the shop, my fellow woodworkers, and enjoy the sawdust. If you’re reading this and considering getting started in the craft, consider the above. 4) When you finish a woodworking project you are finished. I have done computer programming work for 40 years. ( really ). In computer work you are never done !!!. However a WW project turns out, I am done. Wordworking has offered me the most tangible payoff and long lasting results of any hobby I have ever taken up. it sure is great to know that I have a hobby that gives results… I wasted a lot of time on foolish things in life, that I have nothing to show for! For me woodworking is nothing more than a past time.Occasionally i do lend a hand to a friend of mine to earn extra cash. Its a rewarding experience helping him running his furniture bussiness.One great thing about woodwork is when you can produce a poduct which is distinctive and special, just for a particular person.